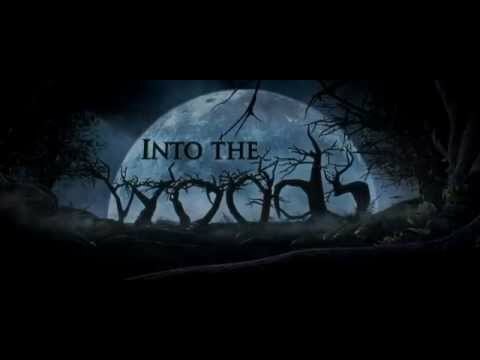 Brief Synopsis – A musical that sends a baker and his wife into the woods where fairy tale characters live in order to find important items that Jack and the Beanstalk, Little Red Riding Hood, Rapunzel and Cinderella possess in order to give them to a witch who upon receiving the gifts will give them a child. My Take on it –Over the years I’ve seen lots of movie musicals and my opinion of them have always had many ups and downs. There are some musicals that I really really love and can watch over and over again like Fiddler on the Roof (1971), West Side Story (1961), The Sound of Music (1965) and Les Miserables (2012) (my favorite movie of 2012). There have also been some very high profile musicals which I hated like Chicago (2002), Oliver! (1968) and Gigi (1958). I guess this movie fits into the latter category as opposed to the former. Since I don’t live anywhere near a place with a theater district, I’m not exposed to musicals so much and I actually never heard of this musical before I saw the movie. I think the idea of mixing together numerous fairy tales is a clever one, but I think this story just overdoes it to a point where it’s just too much. This movie just felt to me like it was trying too hard to be popular. The cats has lots of famous actors (some in very small parts) and the production was done with lots of grandeur just like Rob Marshall likes to do, but I’ve never been the biggest fan of his movies, so it didn’t surprise me that this movie didn’t speak to me at all. In all honesty, I was pretty bored throughout. This wasn’t for me, but I’m sure there are plenty of viewers out there who will enjoy this movie. Bottom Line – I found this to be a very uninteresting musical despite the cute idea of mixing up a few fairy tales and their characters and creating a story revolved around them. Good review. When it’s fun, light and happy in the first-half, it works. But when it changes its whole story up and gets darker later on, it still surprisingly worked. I agree that Rob Marshall isn’t a very good director. The film could have been a lot better with someone like Tim Burton instead. Hmm, I was considering going to see this but I think I will wait for DVD release now. Good job as always Rob! Oh no!! Well…you know we don’t agree on this one. Hahaha. I do agree that maybe certain people shouldn’t have been cast in their roles (mainly Johnny Depp), but I really enjoyed this one. Of course, I was very familiar with it going in and I grew up around theater, so I had that going for me. And I also love Chicago. Maybe you just aren’t a Marshall fan? Lol. Good review, Rob! Sorry this one didn’t work for you!